Team USA wrestler Jennifer Page trains in a pool at the Colorado Springs Olympic Training Center. She is recovering from an ACL surgery. Leslie Klein, director of the athlete career and education program the U.S. Olympic Committee. 2013 Figure skating national champion and Olympic hopeful Max Aaron trains at the World Arena Ice Hall in Colorado Springs. Aaron recently graduated with a degree in finance. Max Aaron talks with his coach, Tom Zakrajsek, during practice at the World Arena Ice Hall in Colorado Springs. Figure skater Mirai Nagasu at the World Arena Ice Hall in Colorado Springs. Aaron, who is 25, has been working on it — for years — balancing his grueling training schedule with classes in finance at the University of Colorado Colorado Springs. "I look at, they got a 99 — I'm going to get 100," he says during a break from the rink in the World Arena Ice Hall, where aspiring and elite Olympic skaters train. That doesn't mean it was easy. Because of his skating career, he hadn't ever taken the SAT or ACT, so he had to start at community college. He worked as a a waiter on the weekends to help pay the tuition. To accommodate his three hours a day at the rink, plus warmup time, strength conditioning, physical therapy and dance, he typically took his finance classes from 8 to 10:40 a.m. and 7:30 to 10:05 p.m.
"I laid out my entire schedule," he says. " 'And these are my breaks and this is when the courses meet and where I can fit them in.' " Universities "don't work around you," he says, "you work around them." Olympic athletes and hopefuls comprise only a tiny handful of the older students trying to get higher educations. But their struggles with finding the money and time to do it, among other problems, illustrate the problems legions of adults are facing. American higher education long ago stopped being primarily for the 18-year-old undergraduate, tossing a Frisbee on a manicured quadrangle. As the number of 18-year-olds declines, colleges and, eventually, employers, are becoming more dependent on this older group to fill classrooms and jobs. And the supply of them is vast. One in five American adults has earned some college credit, but never finished a degree, the American Academy of Arts & Sciences reports. Compared with most of these older students, Olympic athletes and hopefuls have some help. In August, Colorado made them eligible for lower in-state tuition at community colleges and public universities; 56 athletes are already taking advantage of that. 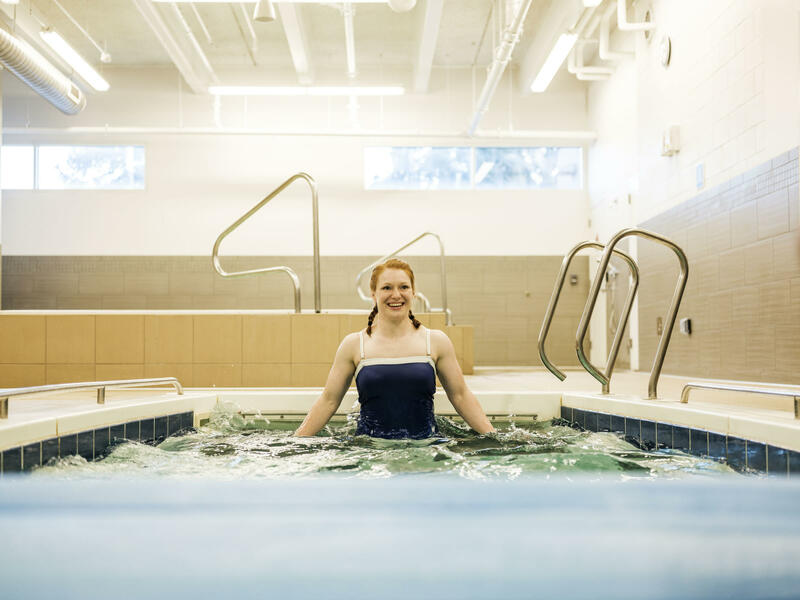 There are 500 athletes in residence at the U.S. Olympic Training Center, chosen by the governing bodies of their sports. In 2014, the U.S. Olympic Committee began offering college scholarships, using money it receives from donors. And athletes can take online courses for free from the for-profit DeVry University, a USOC sponsor. "The athletes are a little bit at the forefront of this," says Leslie Klein, the USOC's director of athlete career and education. She's a former two-time Olympian who competed in kayaking and canoeing. Veteran athletes with multiple trips to the Olympics, she says, "are just trying to chisel away at their educations [and] we're trying to make it a little easier for them." In many ways, it's still tough. The USOC last year awarded $236,000 in tuition scholarships, for instance, but the amount requested was four times that much. Only 80 athletes got them out of 120 who applied. Then there are the time constraints. Olympic hopefuls train so incessantly that their training is often the equivalent of a full-time job. On top of that, they travel often to compete. And many older athletes juggle families and jobs on top of all that. Elana Meyers Taylor is a bobsledder with two Olympic medals: bronze in Vancouver and silver in Sochi. It took her four years to get her master's in sports administration, and then she started studying online for an MBA. Bobsled competitions are often held in tiny ski towns around the world, which made studying hard in places without reliable wireless service. "You can imagine getting an online degree is pretty difficult," she says. She'd work on her academics during travel time and at night. "I'd get a couple of hours in and study here and there," Meyers Taylor says. She got her MBA in finance in 2015. "It's not easy," she says of combining work, study and international competition. "I'm not going to say ... I wanted to sit down and read about the stock market" after every race. "It's about setting a goal and keeping that long-term perspective." 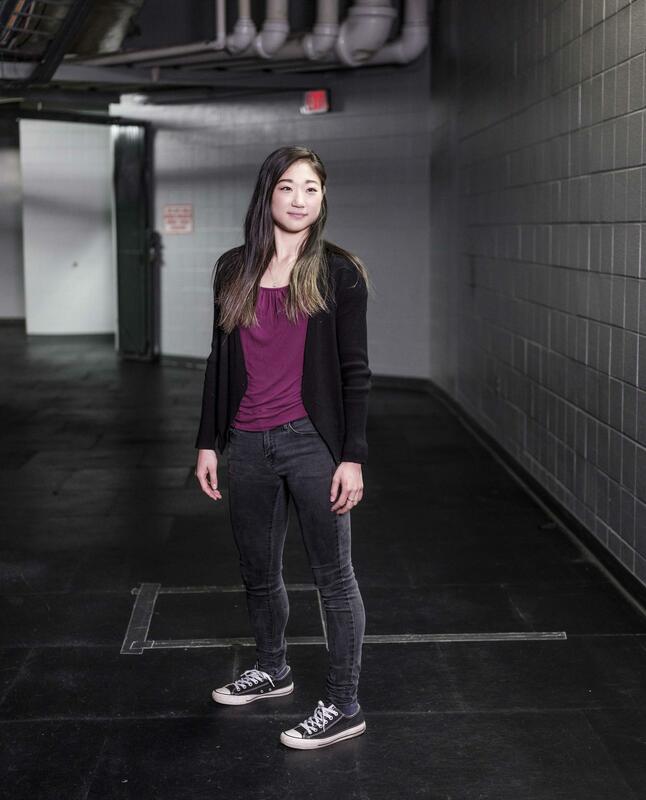 Jennifer Page, a 2020 Olympic hopeful in women's wrestling, just finished an undergraduate degree in health sciences and strength and conditioning at the University of Colorado Colorado Springs, or UCCS. "I would wake up, I'd have class at 8 a.m., I had practice at 10. I'd eat, shower, go back to school from 1 to around 3:30 and then have practice again from 4 to 6 p.m. and I'd go home and eat, shower, do homework and go to bed. And that was my day." Page earned some credits at Oklahoma City University, where she spent a year on a wrestling scholarship but quit to train for London with the Olympic team. It took her six years to earn her bachelor's degree. "I think how easy it would be if all I had to do was go to school," she says. "Life seems so simple when all you have to do is show up for school and do your homework." Figure skater Mirai Nagasu also hopes to return to the Olympics — she came in fourth in Vancouver in 2010, when she was just 16. "Whenever I have a break, I'm back on my computer and studying," says Nagasu, now 24. She's in the equivalent of her junior year, on her way to a bachelor's degree in international business at UCCS. "It is so beyond difficult to balance it all. During finals week I don't get a lot of sleep and I tell myself, 'I can't do this anymore.'" "An athlete ends up at the pinnacle of a career sometimes as early as their late 20s and they've never known a life outside of sport," says Leslie Klein, who interrupted her own education to compete before later earning undergraduate and graduate degrees. "If they haven't gone to school, they have nothing to lean on in terms of a career outside of sport." That's what keeps Max Aaron focused on fulfilling his grandfather's wishes. "I have met a lot of athletes who were on the top of their sport, and then sat around and did nothing. They just didn't know what to do," he says. "It eventually ends, and that's what I think a lot of athletes forget. It's 10 years after the Olympics and you won the Olympics and that's great, but no one cares." After he received his degree, he went back to the locker room, changed clothes, and got back on the ice to train some more. This story was produced with The Hechinger Report, a nonprofit, independent news organization focused on inequality and innovation in education. Next month, athletes from around the world will meet in South Korea at the Winter Olympics. A spot on an Olympic team is the culmination of years of hard work. But what happens to an athlete's college education during all that training? NPR's Elissa Nadworny went to the Olympic Training Center in Colorado Springs to see how they balance it all. ELISSA NADWORNY, BYLINE: The world arena ice hock (ph) - this is sacred ground for figure skaters. And the Olympics are just around the corner. On the ice is Max Aaron. He's a muscular former hockey player who's working on his finesse needed in the world of figure skating. Max has been a U.S. national champion but fell just short of going to Sochi in 2014. This year, at 25, he's looking for a final shot at the Olympics. He's had a shaky practice today, but his coach wants him to leave the ice on a positive note. TOM ZAKRAJSEK: All right, Max, finish with a good rehearsal. That's all you've got. NADWORNY: Max goes through his long program with Andrew Lloyd Webber's music from "Phantom Of The Opera" echoing across the rink. NADWORNY: There are just weeks left - crunch time. But it's also crunch time in another arena for Max - professor Kuppenhiemer's lecture hall at the University of Colorado, Colorado Springs. It's the week before final exams. NADWORNY: While he's been training, Max has been working towards his degree in finance. UNIDENTIFIED MAN: That's changing the entire world of finance. NADWORNY: Think of it as a main course in quad Salchows, choreography and blade work with a side of hedge funds. MAX AARON: It's two different worlds. You go in and you're in school, and no one knows who you are. NADWORNY: A typical day starts with an 8 a.m. finance class, then three hours at the rink plus warmup, strength conditioning, physical therapy and dance class. Sometimes there's a night class thrown in, too. Max says he's having the time of his life skating, but he knows that's not his whole story. AARON: I hope I'm very successful in the sport of figure skating. But it eventually ends. And that's what I think a lot of athletes forget - is that once sport ends there's more to life. Life doesn't just stop. NADWORNY: Leslie Klein sees this all the time. 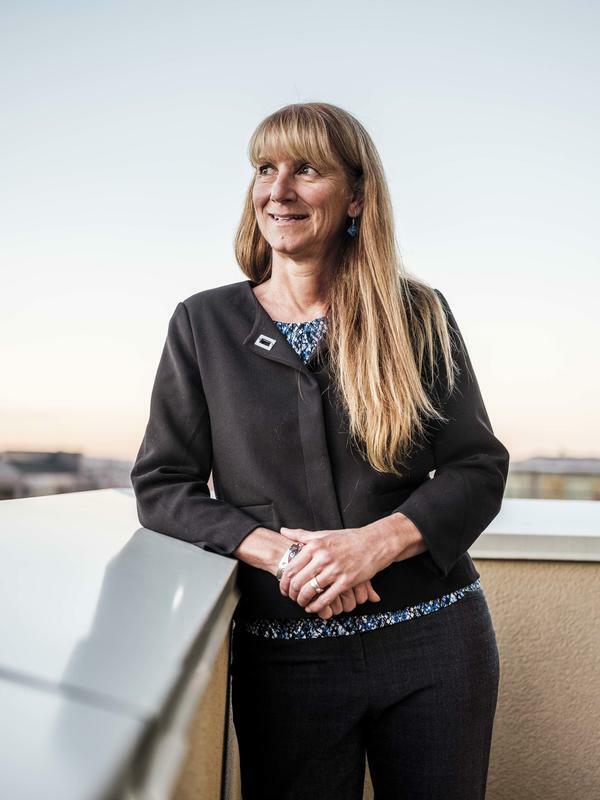 Klein works for the U.S. Olympic Committee helping athletes transition to life after sport. LESLIE KLEIN: They go into this retirement phase, you know, in their 20s or 30s. And if they haven't gone to school, they have nothing to lean on to move onto a career in something beyond sport. NADWORNY: Beyond the hours and hours of training commitments, there are other hurdles, too - the big one, money. A pair of ice skates alone costs nearly a thousand dollars. MIRAI NAGASU: My parents spent all my college money on skating, so (laughter) it's on me to get my education. NADWORNY: That's figure skater Mirai Nagasu. She's from California, but she's taking advantage of a law in Colorado that gives in-state tuition to athletes training for the Olympics. She's studying international business at the same college as Max Aaron. NAGASU: The secret to success is coffee and caffeine. NADWORNY: She's hoping for a return to the Olympics. She came in fourth in Vancouver in 2010 when she was just 16. NAGASU: And I tell myself - every single time I go through finals, I'm like, this is it. Like, I need a break. And I can't do this anymore. But as soon as finals is over and I get a decent score, I'm like, oh, I'm, like, ready and pumped to do this again. And that feeling of accomplishment is always (laughter) something I can't get rid of. NADWORNY: Mirai is signed up for a full course load next semester, but a big part of her is hoping she'll have to withdraw because she'll be in Pyeongchang skating for Team USA in the Olympics. Elissa Nadworny, NPR News. SIEGEL: Both skaters are currently competing at the U.S. Figure Skating Championships. It's their last shot to help secure a spot on team USA.